Blackberry 'Natchez' produces an impressive large fruit. This University of Arkansas hybrid is well known for an early ripening date, consistent yields, and high fruit quality. Natchez shows resistance to the fungal disease double blossom/rosette. 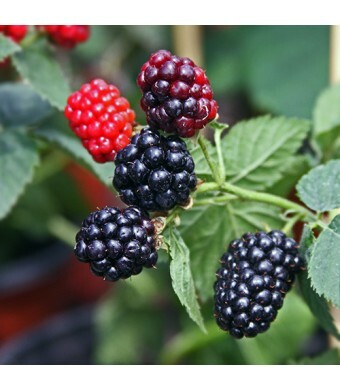 These Thornless Blackberry Plants produce large clusters of mild, sweet fruit. They are Great for eating off the vine or for Jams and Jellies. 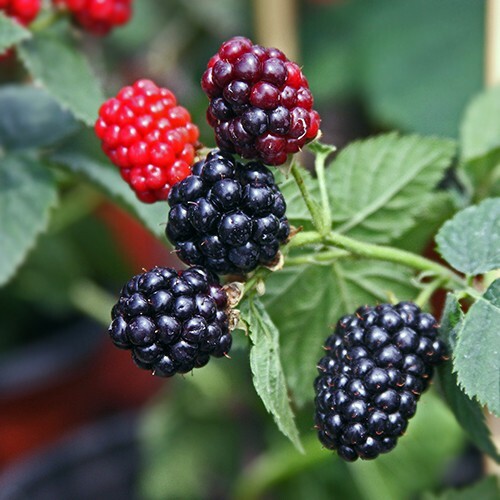 This fast growing, self-fruitful Thornless Blackberry is easy to grow! Enjoy succulent berries during the Summer harvest season. Can be grown as a Bush or can be grown on a Trellis.